The multiple colors complement each other and give the apartments a diverse aesthetic. The project team was able to choose their colors and – since Everlast® requires no caulking or painting – have it delivered and ready to install. The goal was to find an alternative to the fiber cement siding that the project team had used in the past. Additionally, they wanted a product with minimal maintenance required that was better looking and longer lasting than vinyl siding. Over the years, they ran into fading and chipped paint with competitor products and now rely on Everlast to keep this building aesthetically pleasing and protected for years ahead. Despite an occasional rinse with a garden hose to maintain its original luster, the building owners can enjoy the minimal required maintenance of Everlast® siding, which clads roughly 90% the complex. Aside from the 30-inch-high stone skirt that lines the bottom of the buildings, an extensive amount of Everlast® completes the exterior. Everlast® is available in two plank sizes, 4-1/2” and 6-7/8”, both providing the natural wood appearance sought after by so many specifiers, in addition to superior durability and UV-resistance. The Jefferson Park Apartments and resident parking garages feature Everlast® in the 6-7/8” plank variation. The strength of Everlast®lies in its proprietary composition of inorganic minerals, polymeric resins, and acrylic colorants which provides durability and ease of installation. It is lightweight, so bundles are easy to transport around the jobsite, making it a contractor and crew favorite. Everlast® is safe and easy to cut without dispersing any clouds of harmful dust. Everlast® is available with two trim collections – premium Everlast® Color-Matched Trim in the same rich colors the siding is offered in, or the white cellular PVC trim used for this project. Additionally, Everlast® is compatible with many other existing trim products on the market. 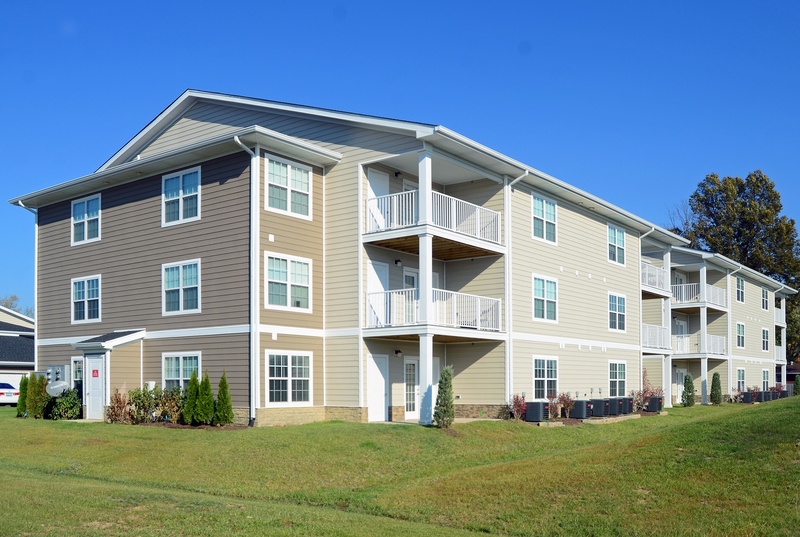 The Jefferson Park Apartments were completed in the summer of 2016. 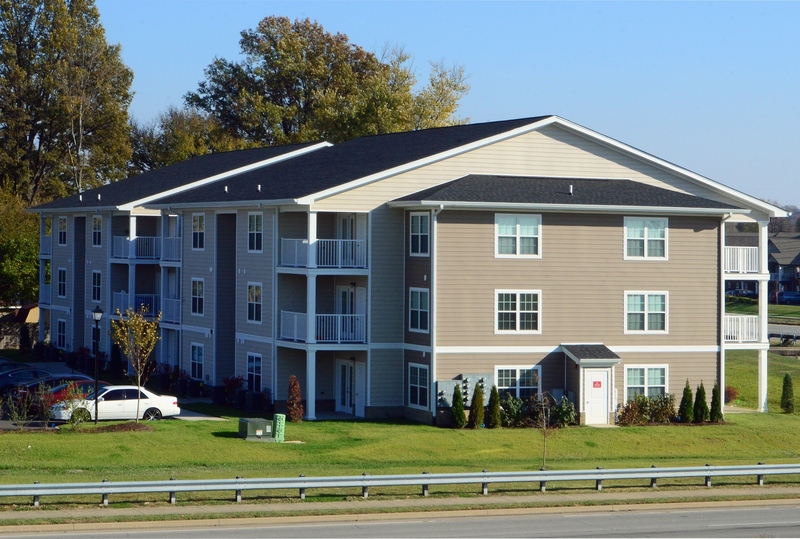 General contractor Cromwell Development, Inc, Louisville, KY, completed the siding installation. 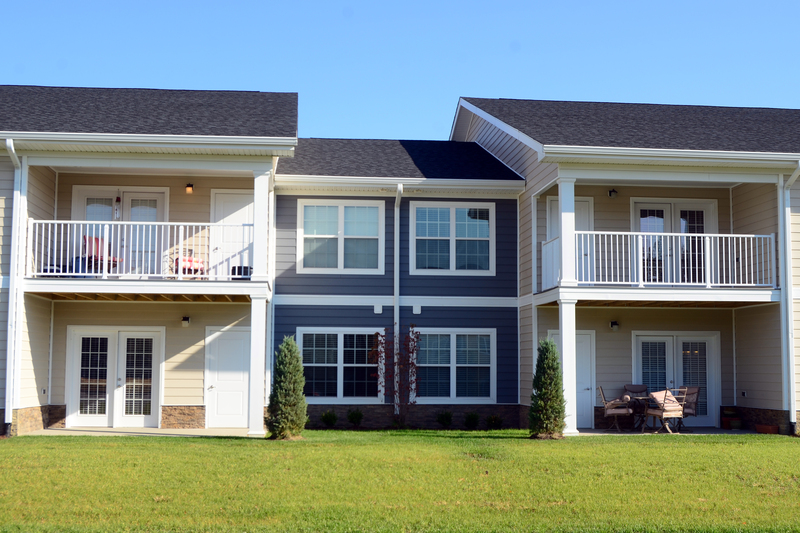 All units provide residents with ample space, including two bedrooms and two baths.